Newly funded, EU Horizon 2020 project targets increasing pollution in marine areas by focusing on the development of innovative cleaning technologies and approaches. CLAIM: Cleaning marine Litter by developing and Applying Innovative Methods will seek out new strategies for prevention and in situ management visible and invisible marine litter with a focus on the Mediterranean and Baltic Sea. Recognized as a major environmental problem, the presence and accumulation of plastic debris in the marine environment has seen a substantial increase with global production of plastics increasing twenty-fold in the last fifty years. For 2010 alone, estimations show that between 4.8 and 12.7 million tons of plastic litter entered the marine environment. "Marine Litter has been detected worldwide in all major marine habitats, in sizes from microns to meters. 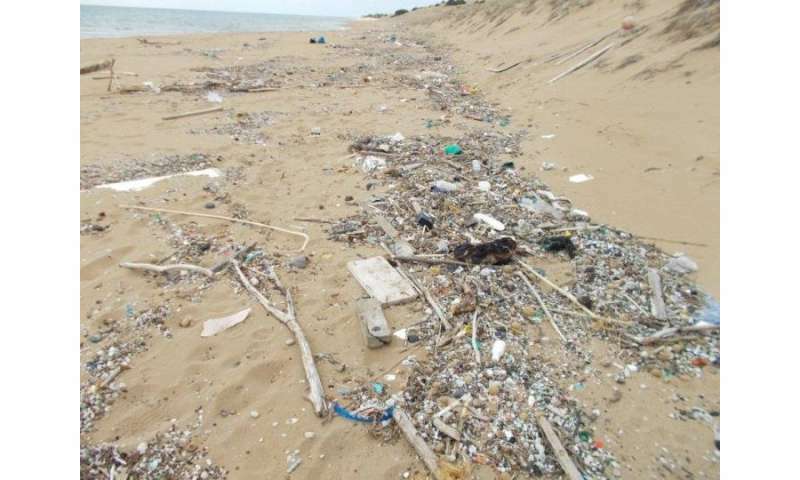 Especially in the marine and coastal environment of semi-enclosed seas, such as the Mediterranean and Baltic Sea, litter pollution is a challenging restoration and governance issue." comments Co-coordinator, Dr. Nikoleta Bellou, Hellenic Centre for Marine Research (HCMR), Greece. Five key technological innovations will prevent litter from entering the sea at two main source points: wastewater treatment plants and river mouths. In terms of waste water treatement an automated cleaning device will be developed and tested to filter out micro-plastic and prevent bigger microlitter from entering marine areas. On the nano level, a photocatalytic device will use project-developed and validated green nanostructured coatings to degrade common invisible nano-plastics, such as polypropylene (PP), polyethylene (PE), PVC and nylon, using the power of sunlight. At river mouths, floating booms equipped with cameras monitoring the collection of litter will be strategically placed to collect visible floating pieces, before or as they enter the sea. The project will demonstrate for the first time a small scale thermal treatment device that uses clean plasma technology to pyrolise floating plastic litter items, producing fuel (syngas) and recoverable heat to be exploited on marine litter-collecting boats and at port facilities. Among other methods planned by the project is also the development of a new filtering system for detecting micro-plastic in open seas by using ships of opportunity or, FerryBoxes. 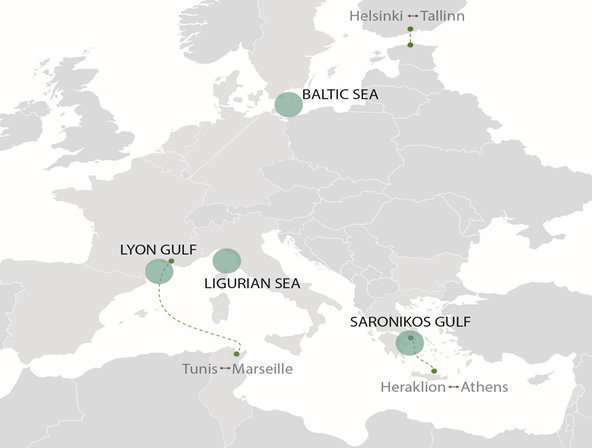 Real-world testing will be at the core of the CLAIM innovation cycle with new technologies being tested in-situ in key areas across the Mediterranean and the Baltic Sea (Baltic Sea (near Denmark), Lyon Gulf, Ligurian Sea, Saronikos Gulf). Alongside tests, the Europe-wide consortium will seek out new business models to enhance the economic feasibility for upscaling CLAIM innovations. Data collected during the project will feed into new models determining the concentrations of macro and microlitter on basin scale both in Mediterranean and the Baltic Sea. "Involving multiple parties and taking up an ecosystems approach will be at the heart of CLAIM's research" explains coordinator Dr. George Triantafyllou, Hellenic Centre for Marine Research, Greece. "Apart from introducing innovative technologies we also want to stress on the importance of healthy oceans and seas for ecosystem services and hence also for society's wellbeing."